Hip fractures are well-established as a leading cause of disability and loss of independence in the elderly. 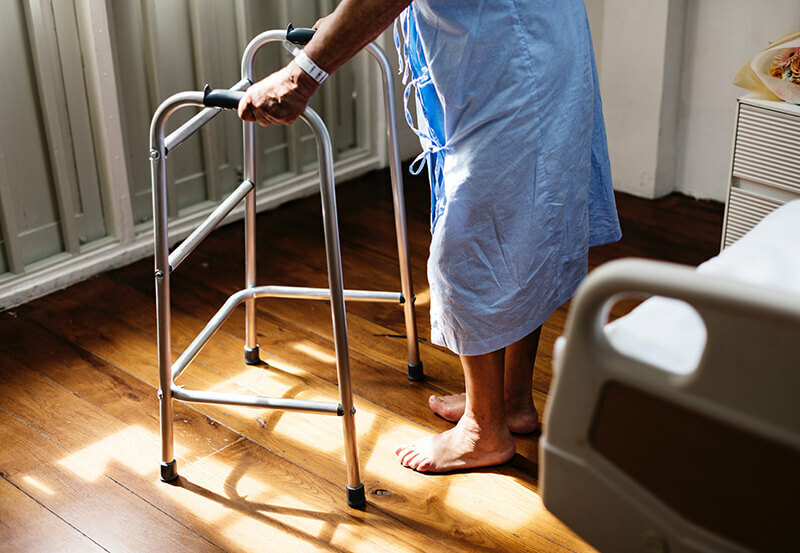 According to the Centers for Disease Control and Prevention (CDC), the likelihood of suffering a hip fracture increase with age, and more than 300,000 U.S. adults ages 65 and older are hospitalized for hip fractures every year. Falling is the overwhelming primary cause of fracture, although other risk factors (osteoporosis, poor strength / balance, etc.) certainly set the stage for a fall. But a broken hip isn’t the only bone break that can cause serious health problems in the elderly. In fact, research suggests seniors who break any bone – not just the hip, but also bones such as the clavicle (collarbone), upper arm, spine, rib, pelvis and lower leg – are at an increased risk of death in the first year following the break. Hip and leg fractures elevate mortality risk for 5-10 years thereafter (presumably because such breaks severely compromise mobility and independence, among other variables). Published in the Journal of Endocrinology & Metabolism, “This study highlights the important contribution of a wide variety of fragility fractures to long-term excess mortality, and thus the potential for benefit from early intervention.” What’s “early intervention”? Now we’re back to the causes of falls and fractures introduced a few paragraphs ago: bone strength, balance issues, mobility and the ability to “catch oneself” if a slip occurs. Your doctor can help you maintain bone density, balance and overall strength with age so you never have to suffer a fall / fracture – or the potentially life-threatening consequences.